With high standards and a powerful educational philosophy, the staff, teachers and parents of the New York Charter school are locked in to provide incredible outcomes for their students. CAMPA places a focus on what matters most: A demanding and holistic education to prepare their students for a bright future ahead of them. A Tibetan proverb states that “A child without education, is like a bird without wings.” When given a challenging and rewarding educational experience that involves a high level of thinking, practicing, and learning material, children can soar. Inspiring children to dream big and behold their greatness is a challenge for many institutions — especially those in low-income areas that lack community support or necessary funding. Often in these public-school programs, the student to teacher ratio is sky high, and kids can get lost in the mix. 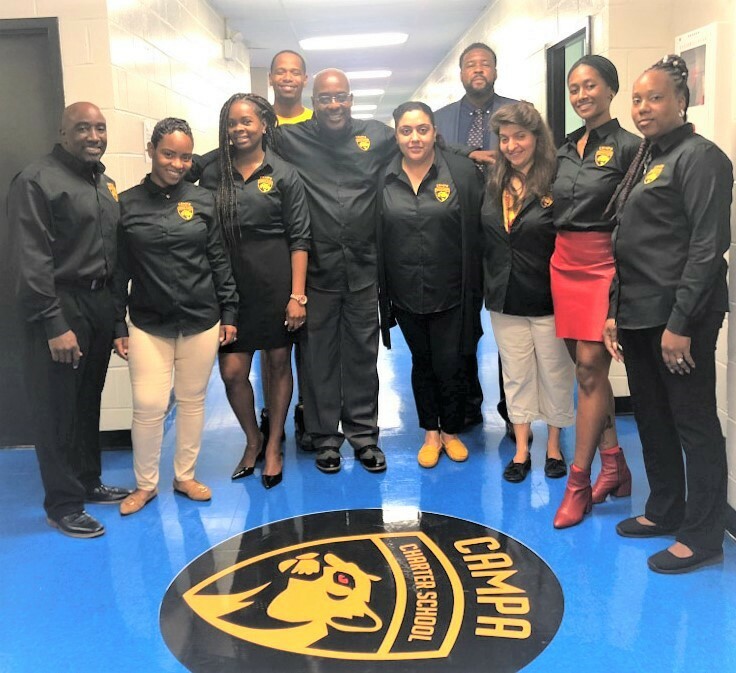 CAMPA Charter School is steadily moving forward with gains as high standards in their math and science-based curriculum is preparing junior high school students for greatness. At CAMPA, administrators, educators, and parents want students to be adept in science and math concepts and are gradually proving that youth from low-income areas can grasp an understanding of disciplines in these higher-level subjects. Educators and administration at CAMPA are determined to increase the number of Regents takers and passers, beyond normal expectations for their peers at other schools and for the age group of the students. Currently, the eighth graders at CAMPA will take the Living Environment, Algebra I, US History, Government and Earth Science Regents. The 6th and 7th graders will take the Living Environment Regents in June. Both grades are taking global History and Geography Regents courses in preparation to tackle the Regents with confidence and success. Last June CAMPA’s students had a high passing rate for the Living Environment Regents, which is typically given in high school. Not only does the school’s curriculum present students with high academic expectations, including challenging coursework, CAMPA also helps students learn essential life skills through social development. The school teaches their students how to live healthfully through a health and wellness program that consists of physical education, nutrition, and community health. With a glimpse of their website, you can see for yourself how much of an inspiration this is. While many think that CAMPA is an anomaly, one thing’s for sure; they have the recipe for success. With all the talk of poor educational systems in the political sphere, one might wonder, just how the school does it? Through a culture that promotes a positive and professional learning environment, with experienced leaders that have proven track records in education. Gaston expresses, “The magic of our staff is to tap into the potential of our students and make them believe the possibilities.” CAMPA achieves success because of their dedicated teachers, staff, and parents. Parent involvement is an integral part of their achievements. The children of today will become adult members of society tomorrow. Their education matters, and not just their English or arithmetic skills. The holistic development of these individuals is as important as their ability to do well on tests or recall facts, and at CAMPA, they are doing precisely that. CAMPA empowers youth to see the greatness within themselves, and fly like birds in full flight.